Almost a week since I did the first drawing exercises, following instructions from Drawing on the Right Side of the Brain, I’m now on chapter 4. (I switched editions, and “The Definitive, 4th Edition” is a friendlier, less scholarly read.) This chapter has the exercise that Chris had described and got me curious: copying an image upside down. The book proposes that seeing an image right-side up automatically triggers our Left Brain to assign labels to everything, and with those labels come our own interpretations of things based on personal experiences. What it wants is for the reader to try engaging the imaginative Right Brain, ignoring the analytical Left Brain, so that we draw what we see, just as we see it, free of our own opinionated interferences. 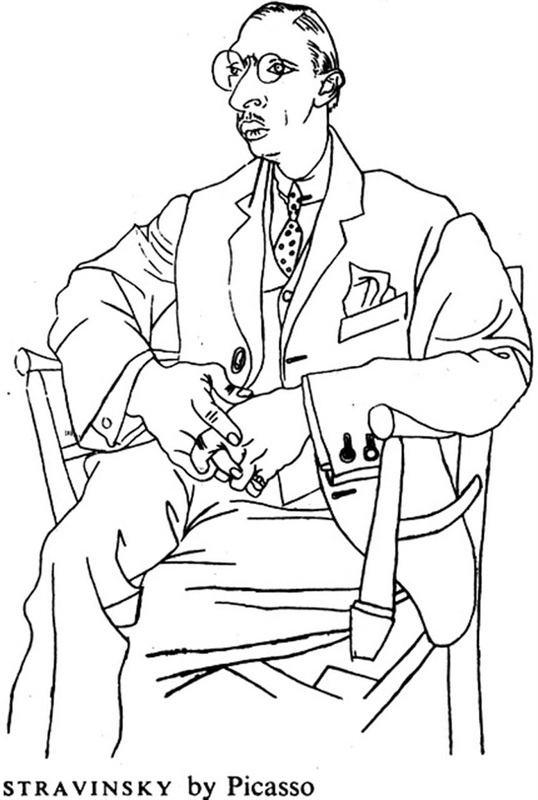 The book presented a portrait of Igor Stravinsky, drawn by the Spanish artist Pablo Picasso, oriented upside down. My brain immediately tried to recognise the picture, but I tried to suppress it. So although I knew it was of a person, I tried to see it as nothing but lines and curves, as I was supposed to. The average duration of activity was 45 minutes, but I took almost 2 hours, starting at 11:37 am and ending at 1:20 pm. I made two attempts, the first I discarded almost halfway, because I was unhappy with my attention to proportion. Being more cognizant of that weakness, I tried again. When I was finished, I turned both drawings and looked at them right-side up for the first time. I was pretty pleased with the similarity I achieved… I mean, that’s a freaking Picasso! Having now done the first few exercises, I realised that my biggest disadvantage was and is my impatience. Considered a Left Brained trait, I was just too aware of time ticking away, thinking about how badly I must be doing, and I gave up on the tasks very quickly, not wanting to fix parts I could see weren’t precise. 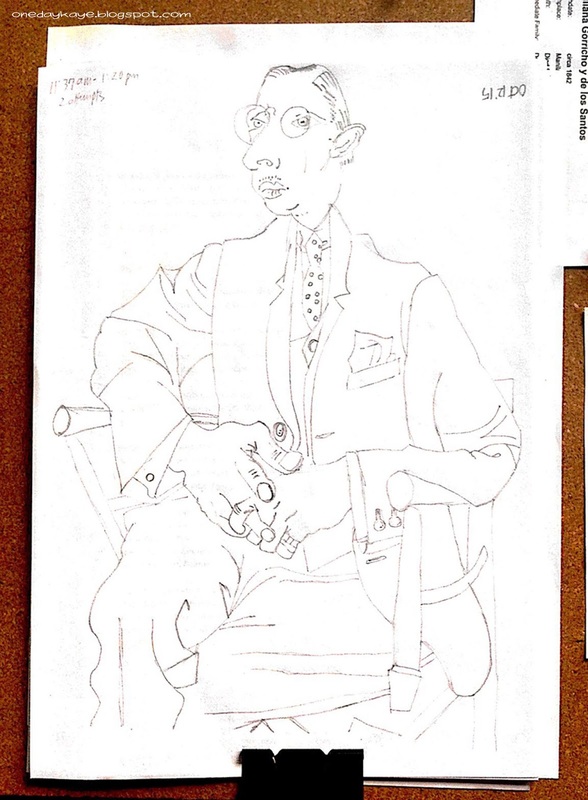 As mentioned, my spatial abilities are not very sharp and I have difficulty with proportions; so in my drawing, Stravinsky’s (anatomic) right shoulder is higher than the left, and the hands became chunkier to compensate at that point (I copied from top to bottom of the lopsided image.) I also made him look mad, oops! But like Dory said, “Just keep swimming;” and yesterday, while talking to Macy about calligraphy, she was encouraging me (as she so often does) to keep practicing. Practice, indeed, makes progress. Hey not bad at all!!! 🙂 Can't wait to see the rest! I'm missing some materials I need for the next exercises, but I'll get them today!